di Women in Business 15 Novembre 2018 8 min. As recent evidences have shown, the automotive industry is leading the move towards gender parity, by incessantly promoting more women to leadership roles. On Wednesday, 13th of June 2018, General Motors appointed Dhivya Suryadevara to the CFO position and Kimberly Brycz to head of global human resources. This makes General Motors one of only two Fortune 500 companies that have both a female CEO and CFO. Now, whilst it may appear as though General Motors has consciously implemented a plan to promote gender equality, this effort was actually inadvertent. Grace Lieblein, a recent General Motors retiree, supports this notion: “I don’t think there was a concerted effort across the company [to increase the number of women with leadership]. There were individual leaders who had a vision, and it became pervasive throughout the organization.” This statement, furthermore, makes inferences on the integrative and symbiotic corporate culture at General Motors. In fact, after its 2009 bankruptcy filing, General Motors adopted a new corporate culture. CEO Mary Barra “created an egalitarian shift across the company in terms of any employee being able to point out, or admit, problems,” specified Tom Kolditz, a leadership professor at Rice University. In his opinion, “when employees share an equal responsibility for transparency and quality, a company can improve and do so with a focus on customers.” And indeed, General Motors’ recent performance would imply that a revolutionised corporate culture that indirectly promoted gender equality, led to gross profit increasing by 8.12% year-over-year for the quarter ending September 30, 2018. Whilst these positive outcomes support the notion of women in leadership positions, it remains uncertain whether these vicissitudes will serve to inspire other companies and industries to follow in their footsteps, but why is this? In a recent interview with Bloomberg, Anna Beninger, the senior director of research at Catalyst (i.e. a non-profit that surveys women in leadership positions), reported that the CEO level continues to be dominated by men, despite intermittent efforts by several corporations to implement a more diverse workforce. She went as far as to say that “any time a woman is added to the C-Suite it’s something that should be celebrated…Given that the rate of change for women into the C-suite and into the CEO level has been so slow, any time we see one, it is certainly progress.” This verity should be a wake-up call for all corporations! It should make everyone question why the transition to a gender equal workforce continues to be sluggish. Is it because women refrain from too much responsibility or is the rise for women within a corporation averted by some endogenous factor? Sheryl Sandberg, COO of Facebook, is seen as the tech industry’s most prominent feminist; she even founded her own organisation called ‘Lead In’, which aims to promote female leadership roles in the workforce. New research from this organisation shows that corporate America, in general, believes that 10% of females with leadership roles is sufficient, something Sandberg cannot agree with. In her opinion, “men look right past” the absence of diversity and generally feel as though their companies’ efforts to encourage a more diverse workforce are already plentiful. Men in leadership positions, are also more inclined to be oblivious to disrespectful behaviours towards women in the workforce; they feel that this is something that is quickly resolved and so don’t spend a lot of efforts trying to counter this issue. The problem with this is that this prevents women from reaching the tip of the iceberg. The Lead In organisation argues that there are two critical steps that can be taken in order to change this. Firstly, a corporation must establish why a better represented workforce is positive for the corporation, and secondly it must ensure that managers are conscious of, and will be rewarded, for establishing diverse teams themselves. However, for corporations to fully implement such actions will take strong efforts. In fact, as seen in the case of General Motors, an entirely new corporate culture might need to be established; a culture where 50% of leadership roles are given to females and where there is no gender bias. Today, General Motors’ work ethics are based on the idea to let the best person do the job, rather than assigning the largest responsibilities to men simply because that’s how its always been. 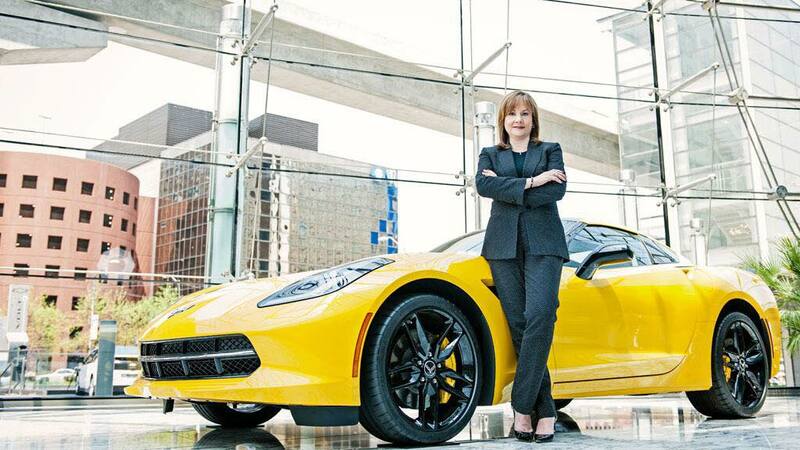 It is, after all, a generation of female leaders that has strengthened General Motors. As mentioned previously, there are many corporations pursuing diversification acts. Yet, Kolditz argues that gender parity can actually only be reached if women are given more operational roles, like at General Motors: “Chief operating officers and other operations roles continue to be male dominated, and this is important because chief financial officers, chief human resources officers and chief diversity officers do not contribute directly to the bottom line.” Hopefully, General Motors’ corporate culture will motivate other corporations to assign more operational roles to women, and until then, we must continue to promote and fight for this unequivocal right, a right that shouldn’t need to be fought for.